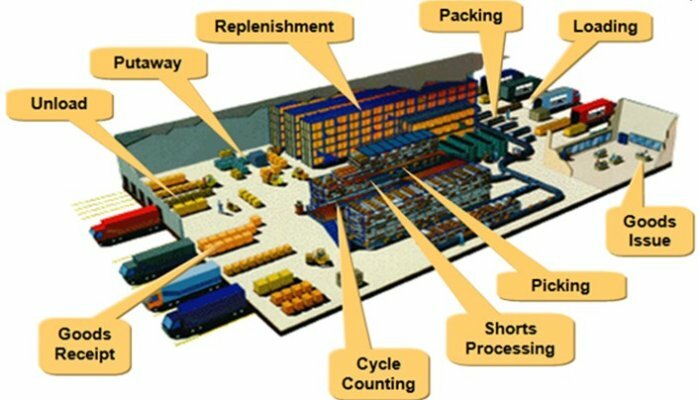 1SMH has been in the business of helping increase the efficiencies of warehouse systems for over 35+ years. We've implemented from simple to complex warehouse systems to optimize storage space, throughput and employee productivity across the nation. Whether you are trying to maximize every square inch of your facility by going VNA (very narrow aisle) or you're considering flow rack or even automated systems for your warehouse, we can help you determine the right solution for your specific needs. We understand that your bottom-line counts and we'll help you achieve your goals. With many pallet rack systems to decide on, it can be a daunting task to know what is right for your specific warehouse operations. From push-back, drive-in, selective, pallet flow, carton flow, cantilever, standard pallet rack and other specialty pallet racking systems, 1SMH has you covered. Our warehouse storage consultants have worked with many storage systems and we'll help you find just the right system to maximize your productivity and floor space. Additionally, we offer service, repair and installation of new and used warehouse storage rack systems. There is no project too small or large for 1SMH. Did you know that mezzanines can increase floor space with the benefit of saving up to 80% of an addition? Whether you need a little or a lot more floor space, we can help you increase your work platform by adding more space, tool crib, retail back room, break room and much more. 1SMH offers a wide range of warehouse shelving to organize and protect your products. From modular storage to mobile storage shelving systems, we help you find the right system to store products in less space. We understand that there are many options to warehouse storage systems and solutions. We have implemented systems that have given our customers real results in productivity and space savings. Our 35+ years of extensive warehouse and inventory management experience gives us the confidence that you'll get the ROI you're looking for. Call us at (888)ONE-LIFT to request a free consultation today.